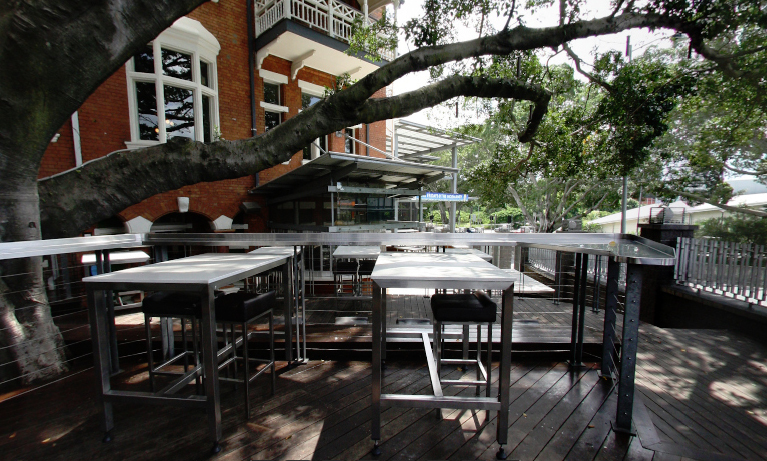 If you are looking for a Brisbane function venue for a celebration or social occasion, the Normanby Hotel can offer one of the best beer gardens in Brisbane for your exclusive use. The Fig Tree function area is on an elevated level so functions are separate from other patrons, while still being a part of the atmosphere and entertainment going on in the venue. A dry bar can be provided and there is heaps of seating available, as well as 2 separate entrances for guests. The event staff can tailor a food and beverage package to your requirements, and like all the social function spaces at the Normanby Hotel, there is no room hire. So if you are looking for a competitively priced Brisbane function venue with no room hire, contact the Normanby Hotel today.